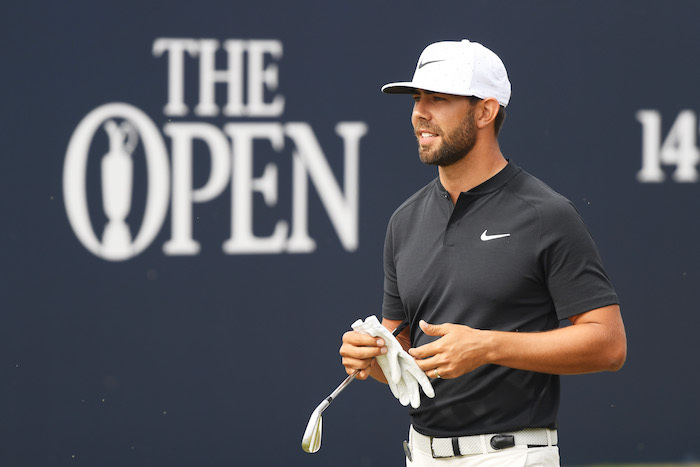 After finishing as South Africa’s top performer at The Open Championship, Erik van Rooyen is ready to take on the rest of the season in the same manner he did at Carnoustie, writes WADE PRETORIUS. It was only a bogey on the 18th on Thursday that robbed Van Rooyen of a share of the overnight lead on his Major debut. But a statement had been made. And while the rest of the world’s media scrambled in the twilight of that round to find out more about Van Rooyen, those back in South Africa have been ‘in the know’ for some time. European audiences may have remembered him from a couple of weeks back when he held the 54-hole lead during the Irish Open, and while he let that lead slip, he left nothing out on the course at Carnoustie, holding his own among the elite. Van Rooyen’s final round got off to the perfect start, matching his first round feat of birdies at the 1st and 2nd. With confidence soaring, Carnoustie or ‘the beast’ as it’s known on such days, ended his run with a double at the 9th. That double and the three drops that followed saw him finish in a share of 17th after a final round 73; context will show it was a day when sub-70 rounds were extremely rare with favourite Jordan Spieth going on to shoot a birdie-less 76 while fellow third-round co-leaders Kevin Kisner and Xander Schauffele finished with 74s. For Van Rooyen, having his name consistently at the top of the leaderboard was affirmation of where his game stands after graduating from the Challenge Tour to now ― his first season as a pro on the European Tour. The 28-year-old, who spent four years at the University of Minnesota, has one Sunshine Tour win to go with his Hainan Open win on the Challenge Tour. In the wake of his performance, the rookie has resisted the immediate temptation to readjust his goals for the rest of 2018. ‘The goals remain the same or at least very similar for the rest of the year,’ he says. It won’t be a long rest, however, with the 2017 SA PGA Championship winner ready to push on with a promising season that has included two top fives en route to accumulating €814,974, good enough for 32nd on the Race to Dubai money list. His Open performance, along with that display in Ireland as well as a few other solid outings, has Van Rooyen itching to get his hands on a first European Tour win. ‘The other big goal is to get my first win on the European Tour. I’ve been close a few times but haven’t quite managed to get four solid rounds together. I’m knocking on the door and I know it’ll happen sooner rather than later. For Van Rooyen, there’s only a string of positives from a week spent at The Open Championship. Memories made and a sound platform for future success. ‘Looking back, there’s no “what ifs” or “maybes”. It was a great week, great showing and I’m really positive about it all. ‘The double on the 9th bites a little but that’s Carnoustie. If you hit it off-line then that’s what is going to happen.